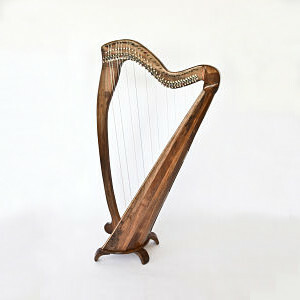 Callan harps are made from locally sourced, naturally felled Irish native timber where possible. 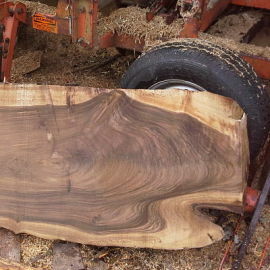 Timbers used include ash, sycamore, beech, cherry, oak, yew, poplar, walnut and elm. 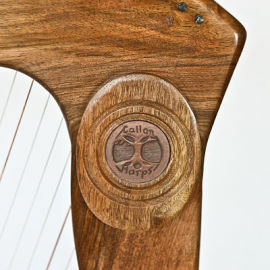 Callan harps are hand crafted “from plank to pluck”. Drawings, initials or emblems designed and crafted by a local wood carver are available on request. Callan 26 is a 3 1/2 octave 26 string lever starter harp fitted with nylon strings which makes it an ideal instrument for students and beginners. With a fully adjustable floor stand, Robinson levers fitted on the C’s and F’s. Different wood species will determine a unique sound and look. 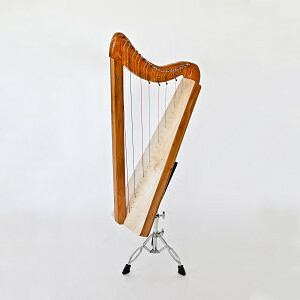 All harp models can also be customised on request. 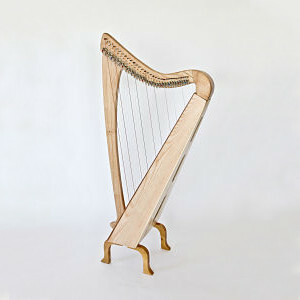 All harps are designed and hand crafted in my workshop. Callan harps are available in four different and customisable models, from absolute beginner to student and professional. 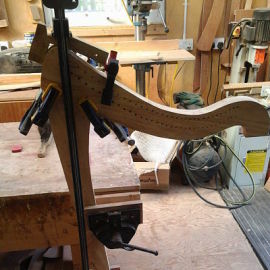 Options include sharpening levers, floor stand, wood carvings and custom made harp bags.